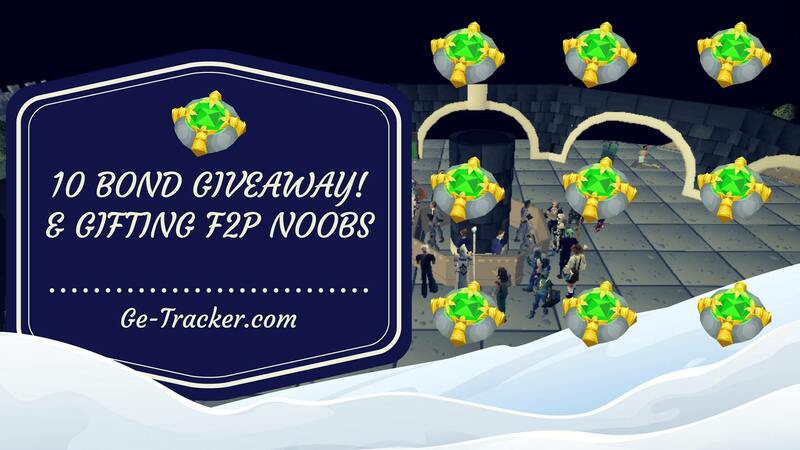 In spirit of the holidays, our newest moderator Jack Fem9, has decided to do something amazingly generous for all you GE Tracker users! This will grant you one ticket, but if you'd like to increase your odds of winning, subscribing to our YouTube channel grants an additional ticket! Now, we wanted to show some love to our premium subscribers, because without you, GE Tracker wouldn't be what it is today, and we're ever so grateful for all the support. So we'll be creating an EXCLUSIVE giveaway just for our premium subscribers :) to give you that little extra chance at winning. You can also find the giveaways by clicking on the images below, best of luck!